Get a jump on the holiday season by celebrating Christmas in Coatesville on Nov. 20-21 from 9 a.m. to 6 p.m. each day. The holiday festivities will include caroling, cocoa and cookies, the lighting of the town&apos;s Christmas tree, along with arts and crafts booths and unique gifts available at local shops. 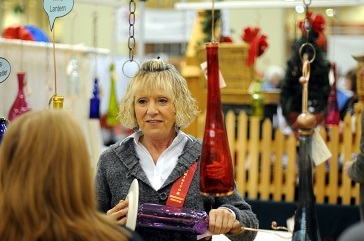 The Holiday Arts and Crafts Fair from 9 a.m. to 3 p.m. on Nov. 21 at Washington Township Park in Avon is a great way to start decorating for the holidays and get a jump on Christmas shopping. This is a juried fair, which means that a panel has carefully selected these Indiana artisans before allowing them to display their woodworking, paintings, drawings, silverwork, beadwork and holiday decor, thus ensuring quality local craftsmanship. 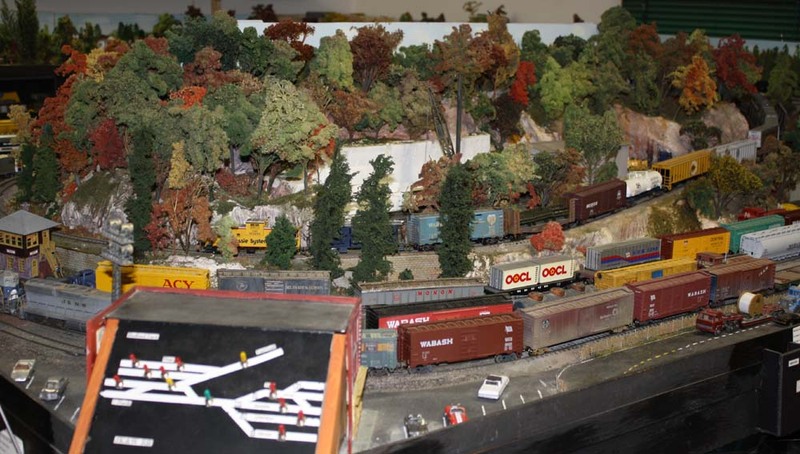 Trains and the holidays go together like Santa and stockings, so make plans to take the kids to the Danville Train Show at the Hendricks County 4-H Fairgrounds and Conference Complex from 10 a.m. to 3 p.m., Nov. 21. The operating layouts, door prizes, vendors and clinics there are sure to thrill train enthusiasts of all ages. Just down the road from the Danville Train Show is Beasley&apos;s Christmas at the Orchard, which will provide festive activities on consecutive Saturdays, Nov. 21 and 28 from 10 a.m. to 4 p.m. each day. This popular, annual tradition includes live dulcimer music, pictures with Santa, face painting, kids&apos; projects and of course, plenty of shopping opportunities. The Town of Danville ushers in the holiday season with its annual Christmas on the Square celebration from 4 to 6 p.m. the day after Thanksgiving, Nov. 27. Taking place on the historic Hendricks County Courthouse Square, this holiday event features all sorts of activities for kids, plus music and holiday characters. The celebration culminates with the lighting of the town&apos;s Christmas tree and canopy of lights around the Square at 6 p.m. Most people who celebrate Christmas on the Square then take their families to the Winterland Light Show at Ellis Park in Danville afterward to tour the enormous light display that opens at 6 p.m. that same evening, Nov. 27. Winterland is open daily through Dec. 30 from 6 to 10 p.m. on Fridays and Saturdays, and from 6 to 9 p.m. on Sundays through Thursdays. Stop in the Train Station on Fridays, Saturdays and Sundays to get pictures with Santa! What are the holidays without music? Immerse yourself in Christmas classics played by the Hendricks Symphony Orchestra at their Christmas Classics concert at Calvary United Methodist Church in Brownsburg. Showtimes are 7:30 p.m. on Dec. 4 and 3 p.m. on Dec. 6. Tickets are $15 for adults, $12 for seniors and $7 for students. For those with younger kiddos, mark Dec. 5 on your calendar for Danville Tri Kappa&apos;s Breakfast with Santa at Danville Community Middle School. From 9 to 11 a.m., families can enjoy food, games, crafts, and a Santa Shoppe for kids. Additionally, kids ages 8 and under each receive a free gift! Not to be outdone by their Danville sisters, Plainfield Tri Kappa hosts its annual Gingerbread Christmas from 9 a.m. to 3 p.m. Dec. 5 at Plainfield High School. This monstrous, juried arts and crafts show is one of the biggest in the region and is sure to have everything to satisfy a holiday shopper&apos;s Christmas list, no matter how long and diverse it is. Brownsburg will also be a holiday hot spot on Dec. 5 at Natural Valley Ranch from 10:30 a.m. to noon or from 1:30 to 3 p.m. for Cookies and Cocoa at the Ranch. Enjoy cookie decorating, holiday snacks, pictures with Santa, holiday stories, and make an ornament to take home! Who doesn&apos;t enjoy a parade? 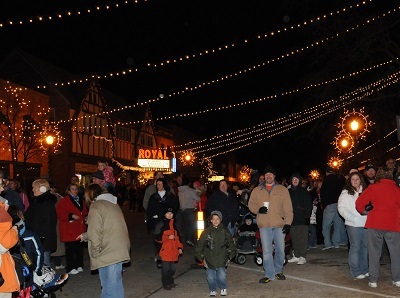 Stick around in Brownsburg on Dec. 5 as the day gives way to night providing the perfect backdrop for the popular Christmas Under the Stars parade along Main Street beginning at 6 p.m., followed by caroling and the lighting of the town&apos;s Christmas tree at Brownsburg Town Hall. Complimentary photos with Santa will be available at Town Hall from 7 to 9 p.m. Fans of North Salem&apos;s annual Old Fashion Days each summer won&apos;t want to miss the winter version: Old Fashion Christmas at North Salem. 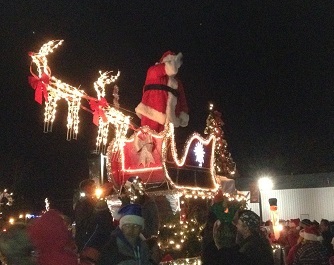 Head to North Salem on Dec. 11 for shopping, kids&apos; activities, the town&apos;s Christmas tree lighting at 6 p.m., and free tractor rides with Santa until 8 p.m. The celebration continues on Dec. 12 with a free-will donation breakfast at North Salem Methodist Church, followed by a slew of activities throughout the day. The Kiwanis Club of Danville will be showing the classic Christmas movie, "It&apos;s a Wonderful Life" at the historic Royal Theater in Danville at 7 p.m. Dec. 13 as part of its quarterly Kiwanis Klassic Family Movie. Admission is just $3 per adult and $1 per child, making it the perfect opportunity and setting to enjoy this holiday classic from 1947. By Dec. 18, we&apos;ll all be half-crazy with holiday hubbub, so ladies, make plans to take some time for yourselves with the Ladies&apos; Night Out hosted by Macaroni Kid - Hendricks. Relax and regain your sanity, starting at 4:30 p.m. Enjoy the movie "Sisters" in a private viewing room at Carmike Theaters in Plainfield for this event, along with pizza, concessions, a raffle ticket, shopping discounts and a reusable shopping bag. Tickets are $32. My final must-see holiday activity is a really cool event on Dec. 19 at Washington Township Park in Avon, especially if you have kiddos who don&apos;t do well with the chaos of the Christmas season. Holiday in the Park offers breakfast with Santa beginning at 8:30 a.m. and additionally offers time with Sensory Santa in a much quieter and more serene atmosphere than most traditional visits with Santa. This is but the tip of the candy cane for holiday events in Hendricks County this coming season. For a complete list, check out Visit Hendricks County&apos;s Events Calendar, and stay tuned to this blog. Santa has us elves typing our little fingers to the bone about all of the great ways to enjoy Hendricks County during this holiday season, so we&apos;ll have plenty of detailed blog posts about many of these events and much more in the coming weeks!